Communication is almost always a cause or a symptom of both healthy and unhealthy relationships. It is usually the most talked about issue when couples and families struggle. 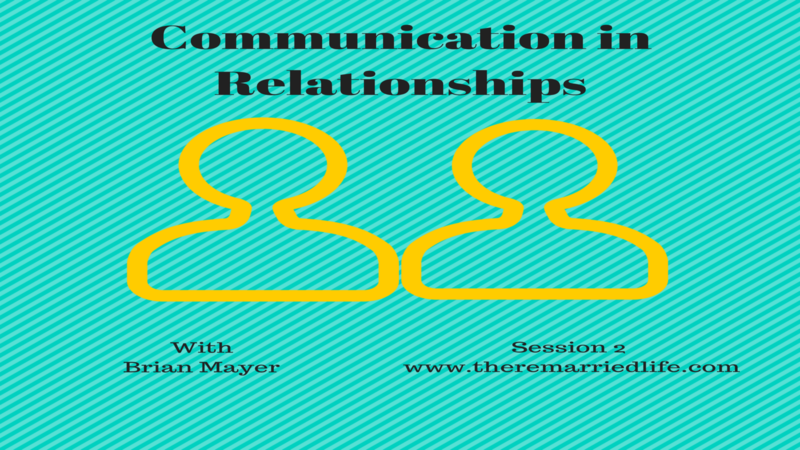 I have devoted an entire episode to discussing several ways to develop more healthy ways of thinking about communication and how better to talk to each other. FBI Hostage Unit Behavioral Change Stairway Model is a great step by step communication method that can adopted to fit couples and families. It involves Active Listening, Empathy, Rapport, Influence, and Behavioral Change. Asking “How” and “What” and not “Why.” Be more curious. The Four Horsemen (a phrase coined by relationship researcher John Gottman) are scientifically shown to cause breakdowns in relationships when used frequently. They are Criticism, Contempt, Defensiveness, and Stonewalling. Words, Body Language, and Tone are the three items that people remember from interactions with others. Science says Body Language accounts for 55% and Tone at 38% for a whopping 93% of the impact that an interaction has. Words only account for 7%. Taking a “we” mentality instead of a “me” mentality. The problem is the problem, not the other person​.